Who Invented Pizza? - Who Invented? / FEATURES / Who Invented Pizza? 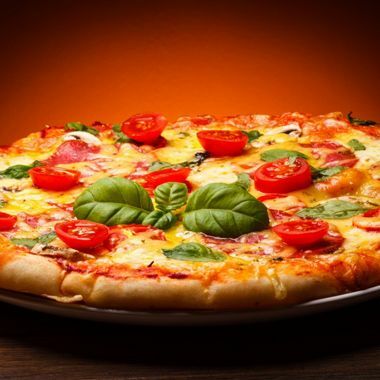 The Italians – Pizza was probably invented by the Italians in the 10th Century. The origin of the word pizza is uncertain. In Italian it means ‘pie’ and may have come from the Greek word pitta or the Latin word pinsa meaning flatbread. The invention of the pizza itself is also uncertain and cannot be attributed to a named person. The earliest known pizza to date was a type of flattened bread found by archeologists in Sardinia and dates back 7000 years. Pizza in Italy is thought to have descended from the original focaccia bread, but in truth, different flatbreads were developed throughout the ancient world. For example, paratha in India, naan in Central and Southern Asia and pitta in Greece. By 997 AD, the word pizza was first documented in Gaeta, Italy and by the 16th century a flatbread known as galette was referred to as pizza in Naples. From here the pizza started to become popular among the poor of the Naples area sold only as street food. Before the discovery of tomatoes, the pizza was covered by toppings such as garlic, onion, cheese and/or dates and was mostly considered a sweet dish. Tomatoes were actually brought over from America to Europe in the 16th century but many people did not want to try them as they thought they were poisonous. tomatoes are a fruit of the nightshade family and other fruits belonging to that family are poisonous. However, at some point, somebody brave and hungry tried them in Italy and before long they were being incorporated into pizza topping. The Margherita pizza interestingly derives its name from a famous historical event when the Queen consort of Italy, Margherita of Savoy visited the ‘Pizzeria Di Pietro’ where pizza maker Raffaele Esposito worked on 11th June 1889. To honour her visit he created a pizza which represented the national colours of the Italian flag, it consisted of mozzarella (white), basil (green) and tomatoes (red) and he named it ‘Pizza Margherita’, which is called the same and still eaten world-wide today. There are now so many variations on the original pizza recipe around the world today, from thick crust (deep pan) to thin crust (thin and crispy) to stuffed crust (with cheese or garlic) to calzone (folded over), with almost any possible combination of toppings you can imagine. A pizza doesn’t have to have a tomato base if you happen to dislike tomatoes or have cheese on top if you are lactose intolerant and it can be almost any shape. The humble pizza has come a long way from the street food to feed the poor and is now eaten across the whole of society around the world. Pizza doesn’t come from pita. It comes from pinsa, the Roman pinsa.